a lot has happened again at Seidentraum! If you find it boring to be able to buy only uni-colored fabrics, then we now have a wonderful offer for you: PRINT ON DEMAND ! 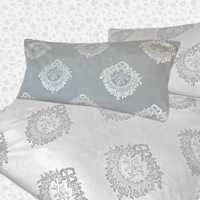 You can choose from over 100 designs YOUR FAVORITE PATTERN and have it printed on PEACE SILK 100% organic silk satin. As an inexpensive and no less glamorous alternative choose KAPAS, our new cotton silk satin, also fully organic and Peace Silk. The minimum quantity per print is 5 meters each. Our stock printed fabrics can be found here! An exclusive offer is our bedding BOUQUETT. We were only able to make a few pieces from the elaborate PEACE SILK set with jacquard weaving. Do you know MALIMO? A young label from Berlin, who had the wonderful upcycling idea to create new products from sari fabric leftovers. There are colorful reversible jackets made of silk mixed fibers with 20% discount if you use this link! In the middle to the end of June, I am back in India to promote the development of silk fabrics with the weavers in Meghalaya and to optimize the work on the Flying8 looms in order to produce high-quality fabrics. I hope to be able to offer you new products from Meghalaya in autumn. If shipping does not work smoothly during this time, I apologize. The phone is unfortunately not occupied from the 13th to the 28th of June. TIP! If a item is not available in the stock, click the link on the product page: Notify on availability. You will receive an email as soon as stock is available. You will sleep well in this wonderful ahimsa satin. Silk is the most pleasant natural fiber for the skin, cools in the summer and warms in the winter. The elaborate jacquard pattern represents a floral bouquet of tropical flowers. In the middle is a symbolized tree of life. The motif has the size of about 15 x 15 cm. This bedding set will last a lifetime. The fine mulberry silk is woven into a heavy satin with 140 g/m² silk. The pillowcase has the size 80 x 80 cm, the duvet cover 135 x 200 cm. More than 100 designs are available: Flowers & Plants. Abstract and geometric motifs and patterns suitable for children and babies. You can choose between 114 cm TUSHITA 80 organic satin and KAPAS XL, our new Peace Silk (30%) and organic cotton (70%) satin with a width of 140 cm - a very favorable light transparent fabric. WE ARE KAL is a design studio of artisans that reinvents traditional textiles. 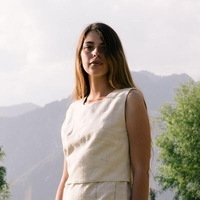 Founder Catherine Allié says of her work: "We create hand-spun, woven and plant-dyed clothing, wool and silk rugs and accessories. In the production of textiles, we only see meaning in the holistic approach. That means appreciating the environment, people and the arts and working in harmony with them. " 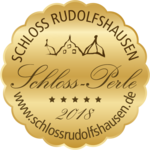 We are very happy about the Schloss-Perlen-Certificate of Schloss Rudolfshausen in Bavaria. The Walterskirchen family prefers to use Peace Silk silk fabrics for furnishing the rooms and for their own clothing. Our textiles comply with their principles of humane production and ethical responsibility.